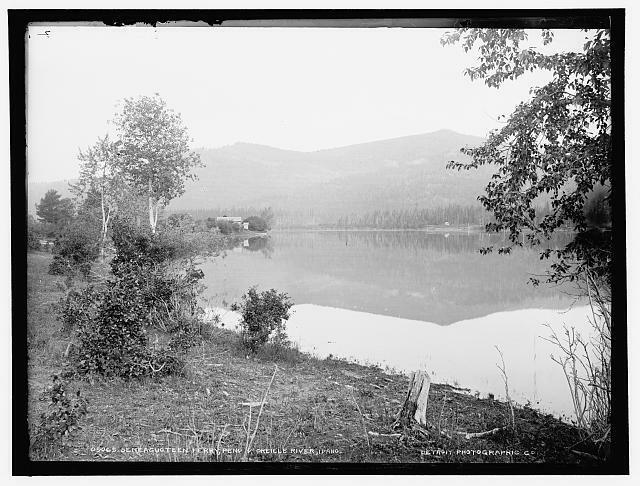 Senacquoteen (Crossing the River) was a popular camping site and crossing for the Kalispel and Kootenai Indians. When homesteaders moved into the area, it became an important ferry crossing and the county seat. Seneacquoteen is a farming community on the Pend Oreille River with a unique history including being one of the first European settlements in North Idaho in the late 1800’s. However the actual occupation of this area occurred thousands of years before the arrival of the white immigrants. 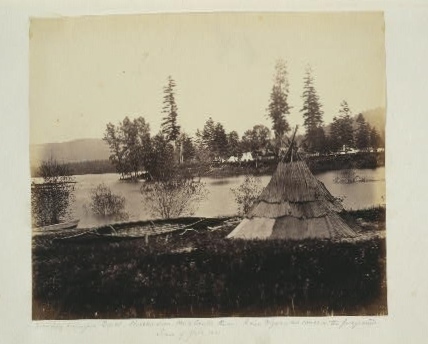 Members of several Salish tribes such as the Kootenai and Kalispel occupied a seasonal camping ground on the shores of the river for thousands of years. Sin-yak-wa-teen and its various alternative spellings meant “crossing of the river”. The meadows offered camas, the river provided fish and the surrounding woods were teaming with wildlife to sustain the American Indian population. David Thompson, a fur trader and explorer, camped at Seneacquoteen on November, 13, 1811. He was followed by Major John Owen, a fur trader, in 1855; the boundary commission, surveyors in 1859; an American surveyor team in 1860; and a British surveying team in 1861. The American survey team established a supply depot at the site that would in 1863 be a ferry landing of Thomas Forde. Forde made a profitable living in the ferry business in 1864 when the gold rush to the Wild Horse country of British Columbia began. Many a miner would cross the river at Seneacquoteen and follow the Lake Indian Road along the river and north through Bonners Ferry and into British Columbia. Seneacquoteen grew to a bustling community from 1864 to 1866. Indians continued to camp in the meadows and along the shoreline. Miners and supply trains passed through on their way to the gold fields. 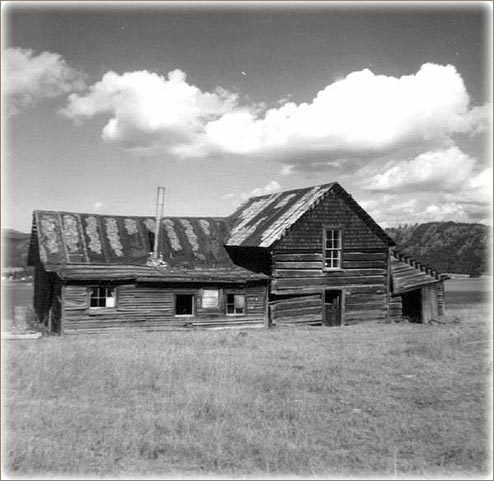 On December 22, 1864, the settlement became the first official county seat for the newly formed Kootenai County. In 1865, the first steamboat, the Mary Moody, to ply the waters of Lake Pend Oreille was built at the popular river crossing. By the end of 1866 Seneacquoteen consisted of 2 stores, 2 saloons and a hotel. The year of 1881 brought the decline of this little community. The required 50 registered voters were not present so the county seat was moved to Rathdrum. The gold rush declined creating less traffic from miners and suppliers. The natives still frequented the seasonal campground; however, their numbers were also decreasing. In 1880 the Northern Pacific Railroad construction crews camped near Seneacquoteen. When construction of the railroad was complete, it had bypassed the small community taking away valuable business. The ferry continued to serve the local farmers until 1957. Today all that is left of this early settlement is a quiet community cemetery, the remains of the ferry landing and an old rail fence. But the memories will endure. Split rail fence on a homestead in Seneacquoteen circa 1900.: Wood rail fence at Seneacquoteen winter of 1948. The rail fences were used to keep livestock from roaming. Rails were cut from small trees and could be built without nails or posts. The zig zag method of the split rail fence aids with stability. 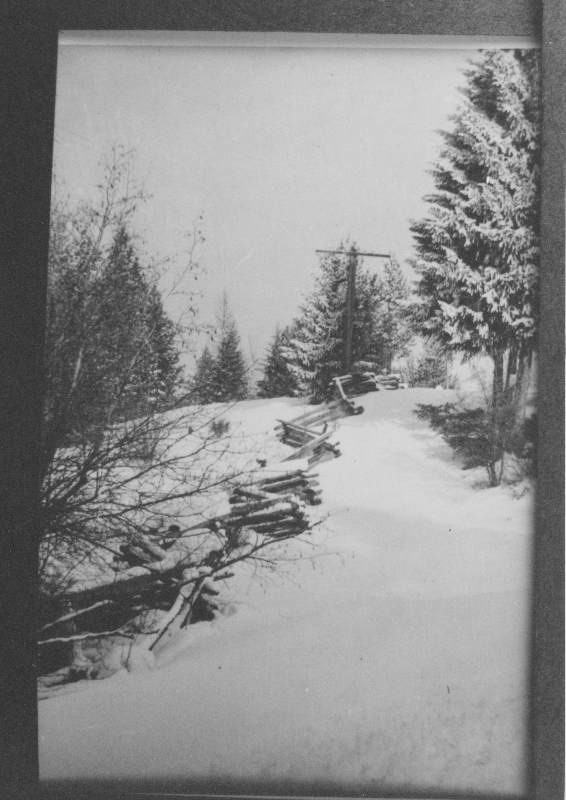 Photo by Margaret Phillips and courtesy of Bonner County Historical Museum. Andrew Christianson at Seneacquoteen. : The home of Andrew Christianson at Seneacquoteen. He traded a horse for 160 acres where he built a home for his family. Christianson also operated a store and traded with the local Indians. The family moved across the river to Laclede in 1902. This is the only remaining original building of the community. Courtesy of the Bonner County Historical Museum. Mary Garrison, “Seneacquoteen - The Lost County Seat for Kootenai County,” Spokane Historical, accessed April 20, 2019, https://spokanehistorical.org/items/show/574. Senacquoteen is a rural community that was once the Kootenai County seat and an active ferry crossing. Foster-Renk, Nancy. 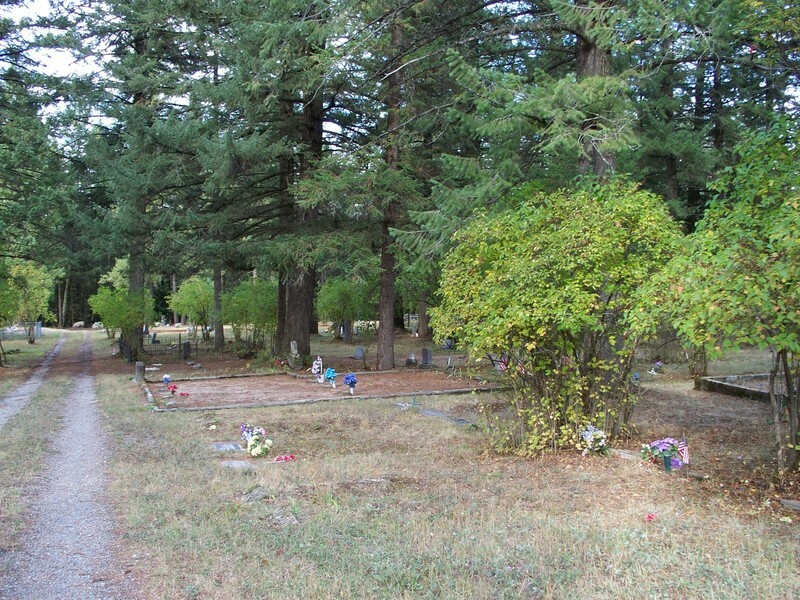 In Driving Past Tours of Historical Sites in Bonner County, Idaho (2014). Rechnitzer, Paul, From the Sandpoint.com "Always on the Other Side," available at http://www.sandpoint.com/NewsArticles/Hold/Always On The Other Side - Laclede Part 1.htm.